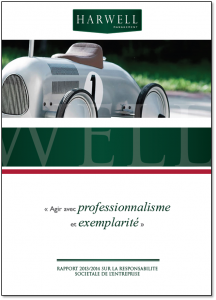 Bewell Consulting is an operational consulting firm dedicated to the Banking and Financial sector. Bewell Consulting’s objective is to carry out support missions in operations and project management. Bewell Consulting meets its clients’ expectations through focused support while relying on expertise provided from Harwell Management. 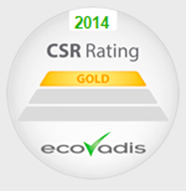 Since 2014, Harwell Management Group has been certified at the highest level – gold – by EcoVadis. Furthermore, we are highly convinced that our total commitment within the worlwide partnership for the development enable the reach of United Nations’s goals, and specifically the one of the Millenium for the development. In this context, we published our annual Corporate Social Responsabilty – CSR – that presents our 2014 evolutions.